Mail generally automatically checks itself when launched in iOS, or mail checks itself every some-odd amount of minutes based on your Push and Fetch settings. 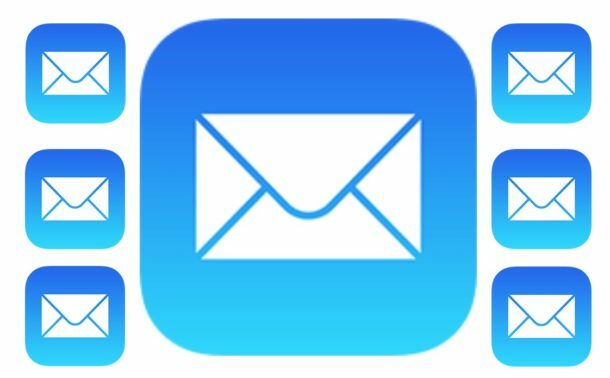 But any modern version of iOS Mail app will not find a standard mail refresh button, but that doesn’t mean you can’t forcibly check mail yourself when you want to on any iPhone, iPad, or iPod touch. To immediately check for new mail right away just tap and hold on any message from the top of the inbox and pull down and then release. You’ll see a little rubber-band style followed by the spinning progress indicator as Mail pings the server to check for new messages. The gesture works the same on iPhone, iPad, and iPod touch. Any new email messages will then populate in the Mail app as usual. 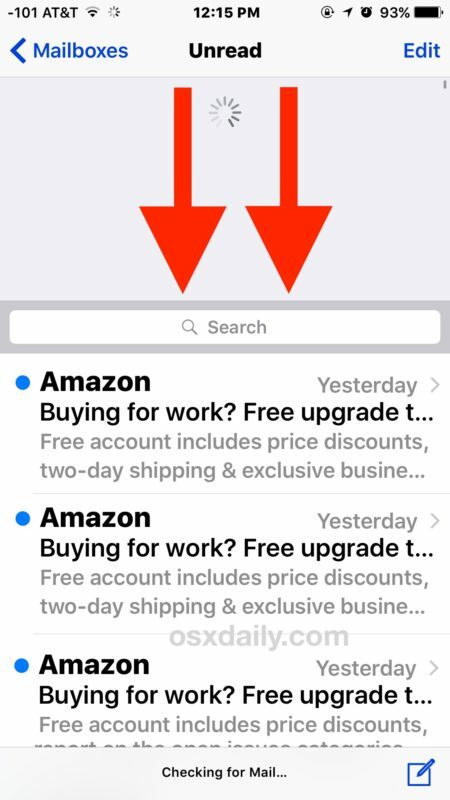 For Mail for iOS, this feature exists from iOS 6 onward, as the pull to refresh gesture has replaced the familiar circle “Refresh” button, which was in the the lower left corner of the inbox window. No big deal, just pull to refresh your Mail instead. 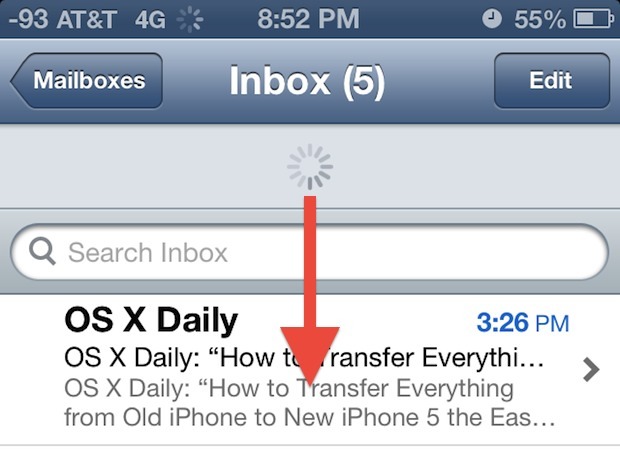 Do you know of another way to rapidly check for email on iOS with a gesture? Or any other trick? Share it with us in the comments! Check out “Pull to Refresh” for Chrome. I know, it’s not for iOS, but it works rather nicely in Chrome for OS X. The pull to refresh only works if you’re scrolled all the way to the top of the mail client, it will not work anywhere else. I just tried it. I would love to see Postbox on Mac incorporate this same functionality! Luckily you have it on iPad. You pull the inbox with the last message.